Course Meets: Tuesdays 1:00 - 3:00 p.m. Description: The events surrounding 9/11 changed this country's course, culture and world role. In the years since, a large body of evidence has emerged that, if true, would indicate that public understanding of 9/11 is seriously flawed. This course lays out the evidence -- text and video -- for the various conflicting official stories, and for various often-conflicting alternative stories, to enable participants to better make informed judgments about what happened before, on, and after that day. Pre-requisite: acceptance of the term "conspiracy theory" as a technical term, not a perjorative. Instructor: Richard Atlee. "I've been doing research (books, web, films) on the events surrounding 9/11 since early 2006, have amassed a large collection of research materials, taught this course for ASC in Winter, 2009, and did a well-received Coffee Clash presentation in March 2012. 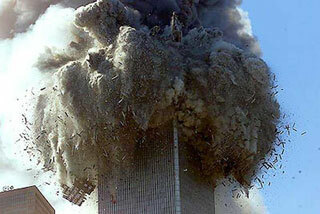 I've become aware of much new evidence related to 9/11 since I taught the 2009 course." "WTC7 impossible Collapse" (a more specific look at WTC7"
"11 Remarkable Facts About 9/11"
The collapse of WTC Building 7 was completely un-expectable and due to fire alone. Or was it? 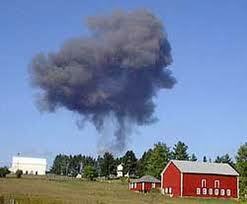 The "smoking gun" of 9/11? What's wrong with the official story, and why is the Pentagon one of the biggest controversies within the 9/11 Truth movement? 9/11 didn't suddenly happen and then go away. There was much context that preceded it, and much that followed. This is clearly a site-in-progress -- the outlines are there, but only a small amount of actual material is yet present. 2. Read the 9/11 Research critique of it.